Editing and revising can be so difficult with students. It can be be straight up painful. As in Dr. Pepper and M&M’s stat in order to survive. Amiright? I am not going to sit here and tell you that I ever mastered teaching this area and my students’ writing was flawless. However, I did discover a few tips to make it less painful. So I could drink Dr Pepper instead of booze. Just kidding. Kind of. So let’s dive into those suggestions and save the M&M’s of the world. I know most people are already rolling their eyes before even reading this section. 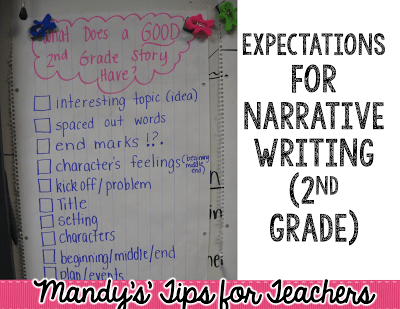 We all talk about expectations when writing ALL.THE.TIME. Here is another spin on it. 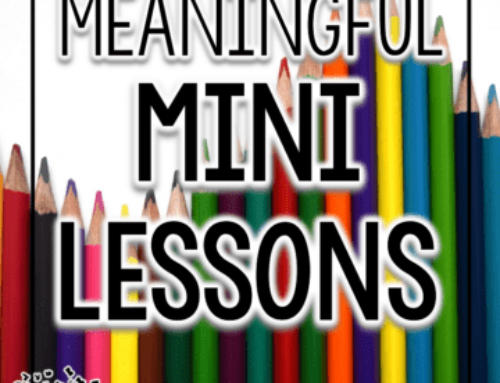 Choose a mentor text that is wonderful for the text type or genre. It can be another student’s writing or a published children’s book. After reading it with students, analyze the writing to figure out WHY it is so good. Then, create an anchor chart listing all the elements. This can be posted as a guide for students. These are the elements that THEIR writing needs to have. Since they helped CREATE the expectations, they are more likely to apply them. 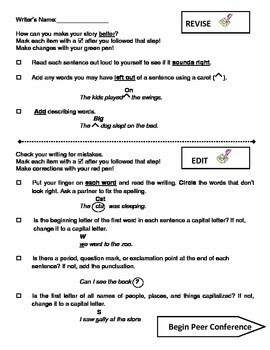 You can also print small copies of the checklist and have students look over their own writing before publishing to make sure they have these elements in their own stories and writings. When teaching writing it is so tempting to try to teach it ALLLLLLLLL- interesting characters, sequencing, great leads, end marks, commas in a series, punctuation dialogue, and the list goes on and on. Time is precious and short. Focus your instruction. For every published piece choose ONE revising skill and ONE editing skill to teach an explicit mini lesson on. 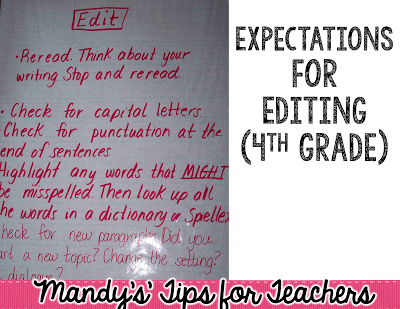 Then, have students apply that skill in their writing. Create a running list. Here is an example of the revising list from 4th grade. Each time we learned a new revising skill we added it to the anchor chart. The chart hung up year round. It was pretty short in the beginning of the year, but by the end, it was full (you can’t even see it all in this pic!). 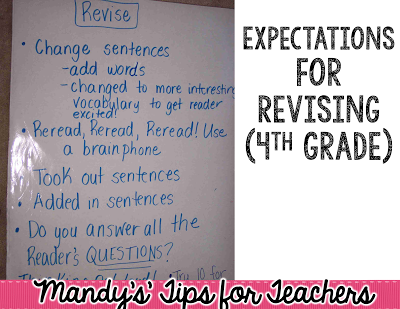 Students were required to use the list to revise and edit and as the list got longer, so did the expectations. 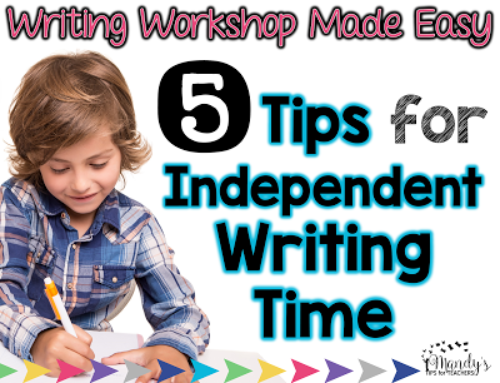 When considering which revising and editing skill to teach for each published piece, try to make sure they best fit the writing type or genre and can easily piggyback on each other. For example, when teaching narratives, teach students how to add dialogue as a revision technique and then how to punctuate quotations as the editing skill. 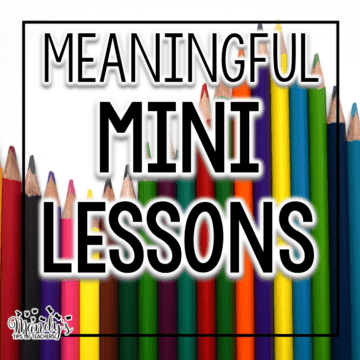 When teaching informational writing, teach students how to use adjectives and adverbs to modify nouns and verbs. It is easy to choose adjectives and verbs to describe animals and people, which many teachers choose for research projects. 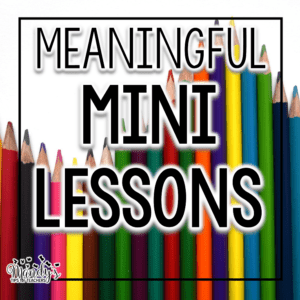 You can read how I taught students to revise with adjectives and adverbs when writing about Jimmy Carter here. I may sound like a broken record, but I do believe in holding the kids accountable. If the piece of writing is going through the writing process, I like to have editing conferences with students before they publish. The problem with this is that I feel like I am fixing their mistakes for them and that means I am doing the work. I want the KIDS to do the work. I learned this great tip from a veteran teacher while ago. Conference with the kids and help them edit the paper for more difficult errors- especially things like sequence or verb agreement or plural nouns. However, all our kids should be held accountable for capitalizing sentences and using end marks, but we all know that just doesn’t happen. Boo. So here is my tip. Tell students that every time you notice a missing capitalize letter or end mark, you will put a tally mark at the end of that line on the paper. Students then must go back and find the incorrect capital or missing punctuation mark. This does two things. It puts the work back on the students. It gives them a visual cue to help them isolate the error so they are not overwhelmed by the whole piece- they know the error is on that line somewhere. It also becomes a visual cue- if their paper is filled with tally marks at the end, maybe they need to work on their editing and be more careful (if they are careless writers). I think many students just aren’t cognizant of how often and careless they really are- it is not an ability issue. This can be a gentle wake up call for some students. I always require students to revise and edit their own work before peer editing. It is much easier to let someone else find all the mistakes, right ;)? First, I have students read aloud their own writing to their partner. This can help them catch mistakes they may have missed. It can also help if your students are struggling writers and the writing is very hard for others (especially kids) to read. It gives everyone a more even playing field if they have heard the story first. I have assigned peer editors to kids and I have also let kids chosen. I am not sure it really makes a huge difference, UNLESS it is an exceptional case. 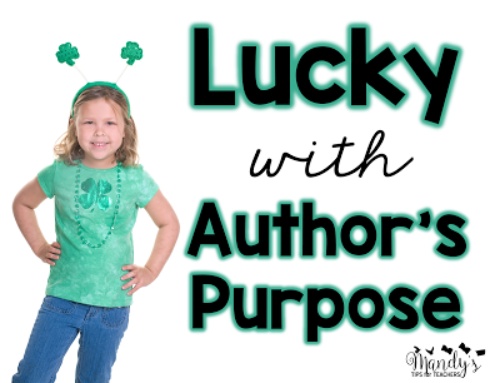 If the child is a VERY high or VERY low writer, you may want to consider hand picking a partner. Also, don’t always make your strong writers conference with weaker writers. It is not their job to always be the teacher. Consider putting higher students together so they can push each other even further. 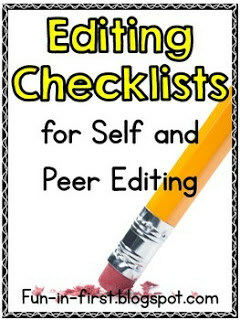 I do suggest having students use a checklist for peer editing or it just becomes a hot mess. There are tons of great, FREE checklists on TpT. Here are a few of my favorite FREE ones! 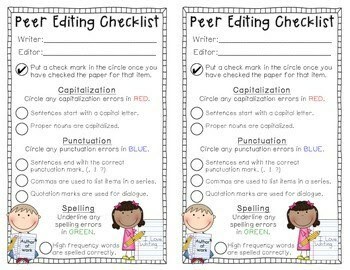 I like this ESL Peer Editing checklist by crunchy apples because it is color coded and easy to read. 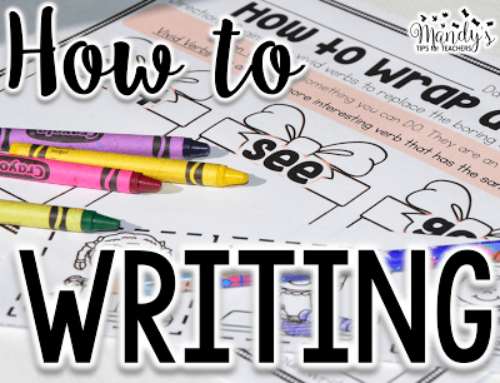 These checklists by Jodi are great because she has several different ones that match different types of writing, they save paper, and are short and to the point for beginning writers. 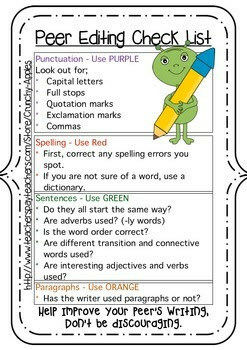 This is another great checklist by Katie Crystal that includes color coding. I really liked this one by Siri Hamilton because she included EXAMPLES of how to revise and edit. Did I miss any tips? 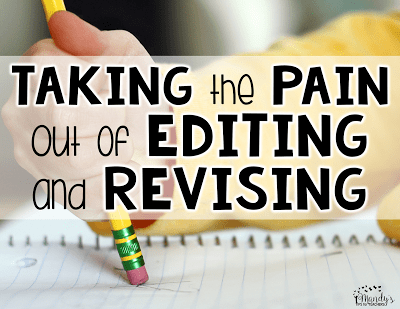 Do you have any great tips for strategies to help with editing and revising in your classroom? I would love to know! 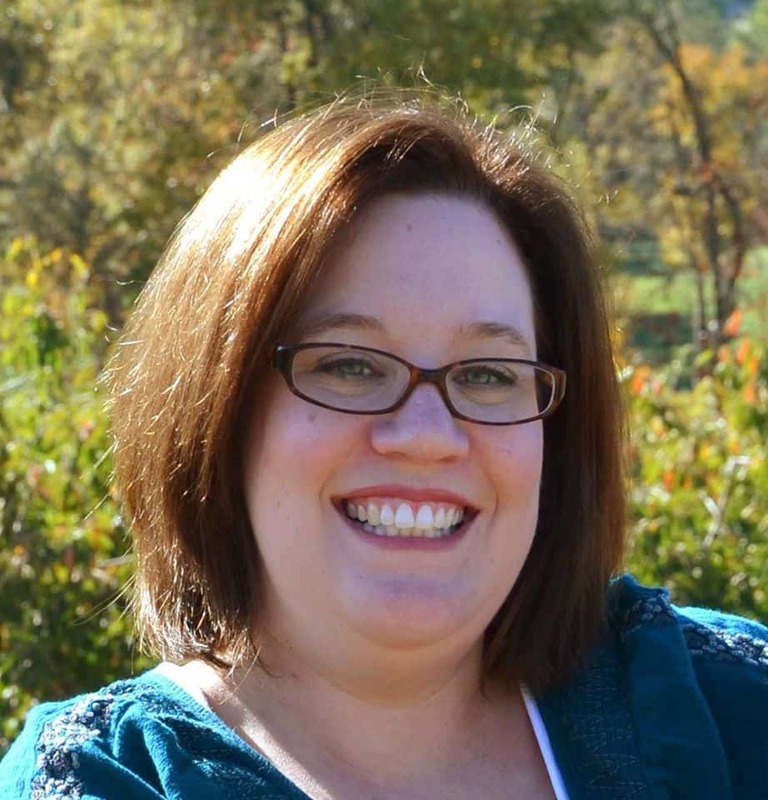 I hope this post gave you some a few helpful hints to trouble shoot your writing time! I love the idea of the tally marks at the end of the line for missing capitals and full stops – much less demoralising than lots of green pen (our marking colour) and makes them have to really think about it. I will start this with mine in January! Thanks! Thanks for this great post. I, too, love the tally mark idea. I usually write an editing mark in the margin, then they need to find the error. One lesson I love to teach before our intensive writing time begins is to avoid being a "Killer Panda". I teach students the importance of punctuation by showing them sentences with punctuation errors which result in the sentences saying something entirely different than the writer intended. The "Killer Panda" refers to "The panda eats, shoots, and leaves." (as opposed to "The panda eats shoots and leaves.") I have a fun unit on just this topic.